And now what would be, technically, a longshot, I suppose, as SABRE and HANS continue to fight as we see, finally, that they are fighting atop a ZEPPELIN. And the real reveal, of the ZEPPELIN floating in the Ineffable Aether, the infinite expanse around them, distant stars shining, small islands of land glowing in the distance. 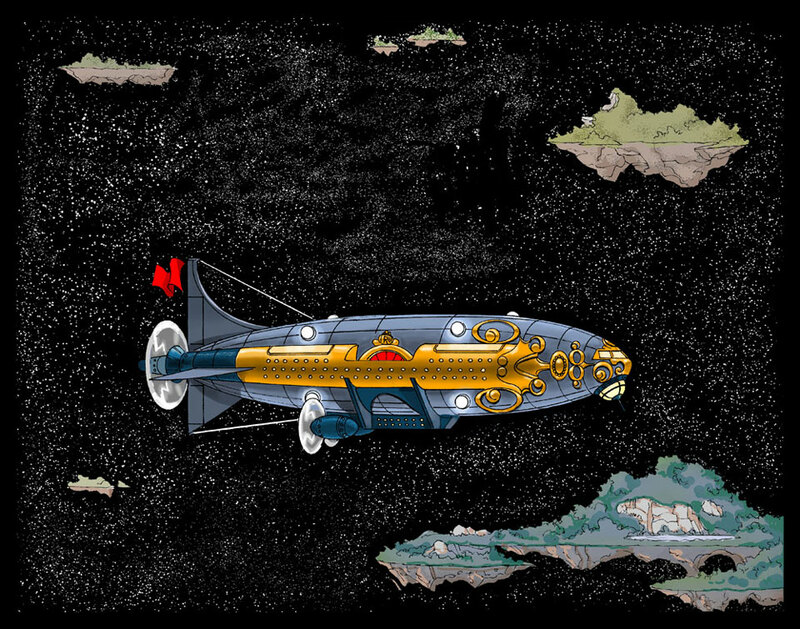 No ground, no sky, just the Aether and this Zeppelin. 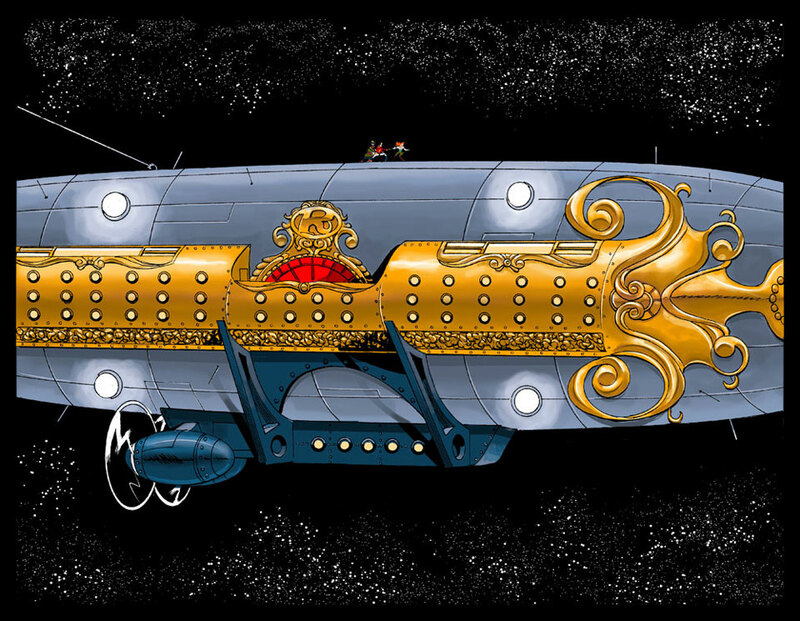 And this Zeppelin, for the record, is quite the regal one, belonging to the Regent himself, who we will learn more of in coming days. But clearly this is a royal vessel, ornate and opulent…. Wow, this is a pretty cool, and unexpected reveal. Yes, well done! Unexpected and intriguing! Love it so far. I do find this view quite terrifying, I must admit.